Agility is one of the most helpful skills known to Members, as having a higher level will allow you to run longer distances. You'll have the ability to use all sorts of different Agility obstacles and courses, and some areas are only accessible by using the skill. Many quests also require that you have some experience in Agility. Agility can be a fun skill to train, and it comes in very useful throughout the game. 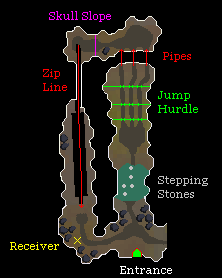 Certain areas around RuneScape require you to have an Agility level higher than one, and many of the more difficult quests, as well as some easy ones, require you to have a certain Agility level to complete them. One of the most important reasons to get experience in Agility is the fact that this skill is closely related to Running. Run Energy is essentially a measure of a player's Stamina, and gives players the ability to run instead of walk through the land of RuneScape. Running is about twice as fast as walking, and while a player is running, their Run Energy will become depleted until it has been drained to 0. The more weight a player is carrying, the faster their Run Energy will decrease. Once a player has no Run Energy left, they will be unable to run until some Run Energy is recovered. Run Energy is recovered gradually over time when a player is not running, including walking, standing, or listening to a Musician. The higher a player's Agility level, the faster their Run Energy will be recovered. The Run Energy indicator is located along the side of your in-game minimap, at the top-right corner of your game screen. It has two main functions. First, the indicator reflects the amount of Run Energy a player currently has. In the above image, the user's Run Energy is at 100%. Second, it allows the player to toggle "Run Mode" on and off, by clicking on it. 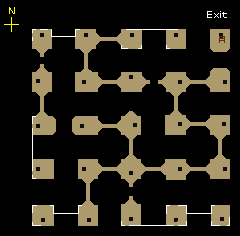 When enabled, the icon will light up, and the player will now run when moving around the game. While the player is running, their Run Energy will decrease, and the Run Energy indicator will update to display the current Run Energy level. It's worth noting that you can press Ctrl while clicking in-game to run to that location. In the higher level Agility courses it is possible to fail obstacles. If you do fail an obstacle then you will get hit damage. The amount of damage that you get hit changes depending on which obstacle you failed and your Life Points at the time of failing. If you fail, you don't gain any experience, but you can still get the full course experience if you redo the obstacle that you failed. If you don't retry the obstacle, or if you skip one, you won't earn the full course xp. There are a number of ways to restore your energy. Autumn Sq'irk Juice Restores 30% of your Energy. Energy Mix Restores 20% of your Energy per dose, up to two doses per potion. Energy Potion Restores 20% of your Energy per dose, up to four doses per potion. Explorer's Ring Restores 50% of your Energy a number of times per day, depending on the level of the ring. Goutweed Tuber Restores 100% of your Energy when eaten. Obtained from the Tai Bwo Wannai Cleanup Activity. Mint Cake Restore 100% of your Energy when eaten. Obtained from the Gnome Restaurant Activity. Papaya Restores 10% of your Energy when eaten. Obtained from picking a papaya tree when Farming. Purple Sweets Restores 20% of your Energy per sweet eaten. Obtained from Treasure Trails. Oo'glog Salt Water Spring Restores Energy and prevents it from being depleted for a short time. Spring Sq'irk Juice Restores 20% of your Energy. Strange Fruit When eaten, this odd fruit restores 60% of your Energy. Obtained from Strange Plants located in the northern part of Brimhaven. Summer Pie When eaten, restores 20% of your Energy and temporarily increases your Agility level by 5. Can be cooked. Summer Sq'irk Juice Restores 40% of your Energy. Super Energy Mix Restores 40% of your Energy per dose, up to two doses per potion. Super Energy Potion Restores 40% of your Energy per dose, up to four doses per potion. Tireless Run Scroll Restores a certain percent of your Energy depending on your Agility level. Unburden Scroll Restores a certain percent of your Energy depending on your Agility level. White Tree Fruit When eaten, this fruit restores 16% of your Energy. Can be picked from the White Tree after completing Garden of Tranquillity. Winter Sq'irk Juice Restores 10% of your Energy. When you first start training Agility, it's highly recommended that you begin at the Tree Gnome Stronghold Agility course. The stronghold is located north-west of Ardougne. It's by far the easiest way to quickly gain experience, as there is no chance of failing and getting hurt. For a completed lap around the course, you'll receive a total of 86.5 Agility experience, but you must do all of the obstacles in order. First cross the Log, run forward and climb the Net. Climb up the Tree Branch, balance on the Rope and climb down the tree. Now run forward and climb over the net, climb through the Pipes and start over. After reaching level 85 Agility you have the option to use the extended area for extra experience. You can also use an Agility stat booster such as a potion or Summer Pie to gain access to this course before reaching level 85. To get to the extended section of the course, begin by walking across the log balance, and then climb up the obstacle net. Next, climb up the tree branch, and climb up the next tree branch. 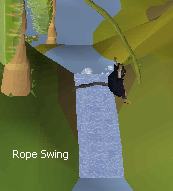 To climb up the second tree branch you need 85 agility. The extended course offers 725 experience per run. It is possible to fail the extension, so it is recommended to bring food. To complete the course, you must first walk across the log balance, and climb up the obstacle net. Next, climb up a branch, climb the following branch, and run across a sign. Swing across two poles, pass over the barrier and jump down the pipe to complete the course. At level 89 Agility, you will stop failing this course. After you complete 250 cumulative laps successfully, you will be rewarded with a pair of Agile Legs. These legs lower your weight by 10kg when worn, which can greatly help training your Agility! Once you reach level 25 Agility, you'll be able to play Skullball! You must have also completed the Creature of Fenkenstrain Quest and be wearing a Ring of Charos. The course is found near Canifis, southeast of Mazchna the Slayer Master. You should find a Werewolf in a small hut in the swamp; speak to him and climb down the ladder to enter the Werewolf area. You can gain 750 or more xp if you complete the game in under 4 minutes. After that, for ever 3 seconds over 4 minutes, you'll lose about 7-8xp. 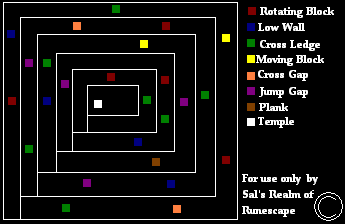 The Agility Pyramid, located in the Kharidian Desert is another good place to train your Agility, while trying to reach an artifact that you can trade in for a reward. You need to have 30 Agility or better to train here. So if you're interested in training here, or if you're just curious, put on some Desert Robes, fill up some waterskins and head on over to check it out! If you fail an obstacle, you'll fall to the lower level (so if you were on the third level, you'll fall to the second). At the top of the pyramid you'll find a gold pyramid. Take this, and bring it to Simon Templeton who can be found just outside of the pyramid. He will buy it from you for 1,000gp, which is not a bad deal! After completing the Cold War Quest, you'll have access to the Penguin Agility Course which requires 30 Agility and a Penguin Suit disguise. The Penguin Agility Course is located on the Iceberg north of the Penguin Outpost. To get here, head to Rellekka, either by walking, or by using your Enchanted Lyre teleport. Take the boat from Rellekka to the Iceberg, and then head to the avalanche to the northwest. To the west is a room; follow the corridor to the Penguin Agility Course. After reaching level 35 Agility, you'll have the ability to enter the Barbarian Outpost training area located northeast of the Tree Gnome Stronghold. But before entering, you'll need to complete the Alfred Grimhand Barcrawl. Once you complete it, you can enter the area, climb through the Pipe and begin to train your Agility! Be warned however, that the obstacles can be failed and you'll take damage, so it's a good idea to bring some food with you. Should you fail an obstacle, make sure to try it again so that you can receive the full amount of experience. After reaching level 90 agility you have the option to use the new extended area for more experience. You can also use a stat booster such as a potion or Summer Pie to use this course at a lower level. To start the extended portion, first swing on the rope swing, walk-across the log balance, and run up the wall next to the obstacle. To run up the wall you need 90 agility. To compete the course you must swing-on the rope, walk-across the log balance, and run-up the wall. Then you must spring the device, walk across the balance beam to the next roof, jump to the next roof, and slide down. Once you reach level 94 Agility, you will no longer fail this course. After successfully completing 250 laps, you will be awarded with an Agile Top, which lowers your weight by 12kg when equipped. The Agility Arena located in Brimhaven is a great place to train once you have level 40 Agility. It's a big place, and you'll get lots of experience. To some, the Agility Arena is a fun way to train, while it's boring to others. Remember, the arena is supposed to be challenging and you're likely to take quite a bit of damage here. You'll want to bring several things, including Boots of Lightness, about 1,000gp, Cakes, and teleportation items (Runes, amulets). The reason for bringing Cakes rather than something like Lobsters is the fact that the more Life Points you have, the more damage you'll take. Staying under 200 hits will only cause the obstacles to hit you for 20 Life Points. Once you have everything, talk to Cap'n Izzy No Beard located in a house north of the entrance to Brimhaven on Karamja Island. Pay him 200gp to enter, and then climb down the ladder into the arena. Once you're inside, you should see a flashing arrow on your map. It points in the direction of the Ticket dispenser that you must tag for a ticket. Quickly swing, walk and climb your way over the obstacles and tag a dispenser. The first time, you won't get a ticket, but you'll see that the counter in the top of your screen has turned green. Tagging the next dispenser will get you a ticket. If you miss, it will turn red and you'll need to start over. You have about 30-60 seconds to tag the dispenser. This Agility course is located in the southwest part of Ape Atoll Island. It is first used during the Recipe for Disaster Quest in the ninth part to obtain a nut for Mizaru to eat. You'll need at least level 48 Agility to use the Agility course, along with either a Ninja or Archer Monkey GreeGree. Do not bring teleport Runes or expensive stuff; there's no quick way out! Be warned, if you fall, you'll lose a big percentage of your Life Points, and downstairs there are some aggressive Skeletons as well. So good food is recommended, and if you need to get some more, go to the Mage Arena bank. Be careful, there are level 22 Skeletons throughout the course! This is the ultimate Agility challenge! You need at least 60 Agility to play (as well as a Ring of Charos), and you can find it just west of the Skullball arena. It's very difficult, and it's also timer-based like Skullball. The object of the game is to get the stick that the Agility Trainer throws and bring it back to him to get an experience reward. Warning: Do not have any type of head gear equipped when you attempt to do this course, because you'll need to use your teeth to slide down the Zip Line at the end. For accomplishing this feat, you can receive 540xp. It's helpful if you don't carry much weight while doing this course. 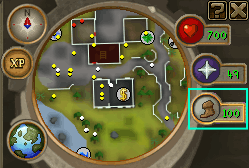 North of Yanille is a small shack with some Webs blocking the entrance. Slash them with a sharp weapon and you'll be able to enter the Agility Dungeon, mainly used for Herblore and Combat training. At the entrance are some Giant Bats, and a Balancing Ledge. Cross it and you'll find some Chaos Druids for Herblore training. Don't use the Prayer Altar unless you want to fall into a pit of Poison Spiders! Warning: Be warned - opening the Sinister Chest will poison you, so it might be a good idea to be prepared with an Antipoison Potion. 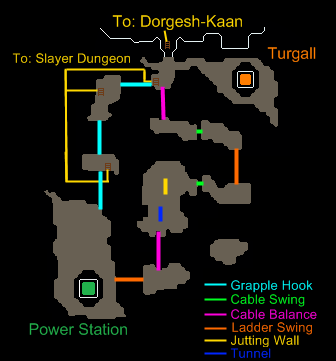 Nestled in the underground city of Dorgesh-Kaan is a high level agility course. The course requires level 80 Agility, 70 Ranged, and you must have completed the Death to the Dorgeshuun Quest. You will also need a light source to use the course. In this task you help Turgall by getting objects from the Power Station. Turgall will give you a Wrench, and he will ask you to bring him certain materials which are located around the agility course. Some items he requests are heavy, and other items are fragile. To obtain a fragile item, use the Wrench on the Console in the power station. For heavier items, use your Wrench on the boiler. There are two routes which you can take to return to Turgall. For more fragile items, you must use a grappling hook. This requires a Mithril Crossbow or better, and a Grapple Hook, and you will receive bonus Ranging experience for using it. Heavier items, on the other hand, are too heavy to bring with you on a grappling hook. You'll need to take a longer path back to Turgall, but you will receive more Agility experience. Lap bonuses are received upon giving the object to Turgall. 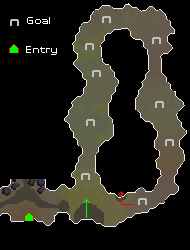 If you take the tunnel both ways (most Agility experience) you would get 169.5 experience (each way), plus a bonus of 1,028.5 (each way), for a total of 2,771 Agility experience. Certain items can give an advantage while performing Agility-oriented tasks, including equipment and Summoning familiars. The Gnome and Barbarians offer special equipment to players who have proven themselves worthy by completing certain obstacle courses a number of times. 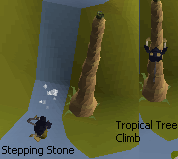 For players who have successfully completed the Tree Gnome Stronghold Course 250 times, a pair of Agile Legs can be obtained by speaking with a Gnome Trainer. When equipped, Agile Legs decrease your weight by 10kg. For Players who have completed 250 laps around the Advanced Barbarian Outpost Course, speak to Gunnjorn to obtain an Agile Top. When equipped, the Agile Top decreases your weight by 12kg. The Penance Horn can be obtained for free by speaking to Commander Connad at the Barbarian Assault activity. When charged, this item doubles the amount of experience players earn from Agility, Firemaking, and Mining. While performing tasks, the Penance horn will lose charges. 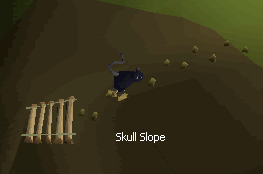 All Agility Courses, excluding the Agility Pyramid, Werewolf Agility (Skullball), and Penguin Agility courses, can benefit from earning bonus experience from the horn. The Penance Master Horn is available to players who have achieved level 5 in any Barbarian Assault role. The drain rate is slower than that of the regular Penance Horn. Certain Summoning Familiars offer a boost to your Agility level, or offer other Agility-related perks that can assist you in training. Tireless Run +2 Agility; Restores a certain percent of your Energy depending on your agility level. Unburden Restores a certain percent of your Energy depending on your agility level.